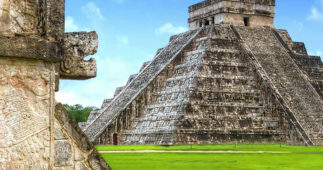 SKU: chichen-itza-regular-tour. Categories: Mayan Ruins In Cancun. 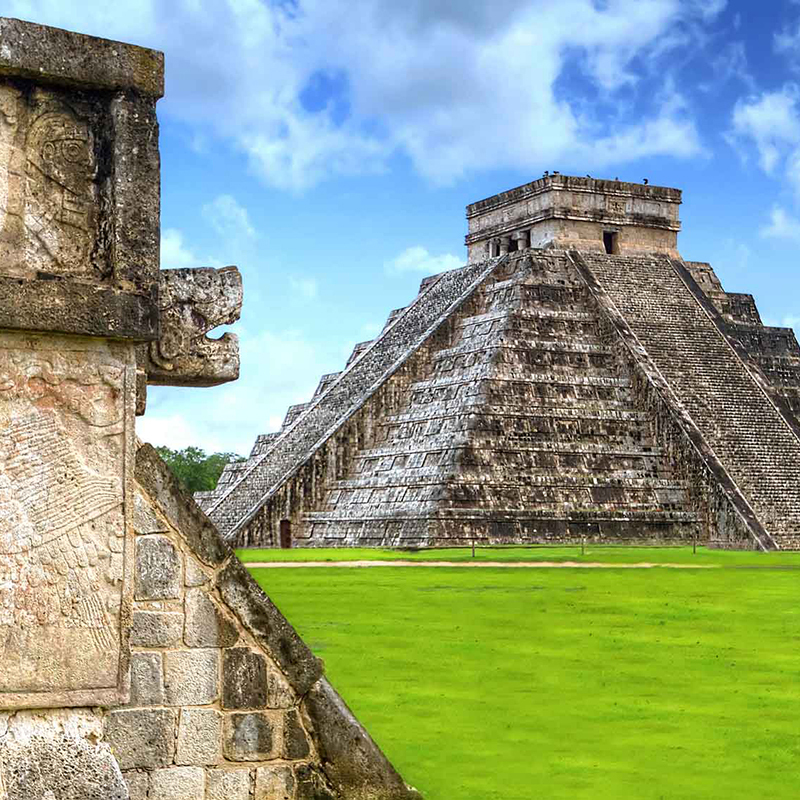 On this adventure you will enjoy a guided tour of the stunning Mayan Ruins and you will discover a UNESCO World Heritage Site and one of the 7 Wonders of the world. 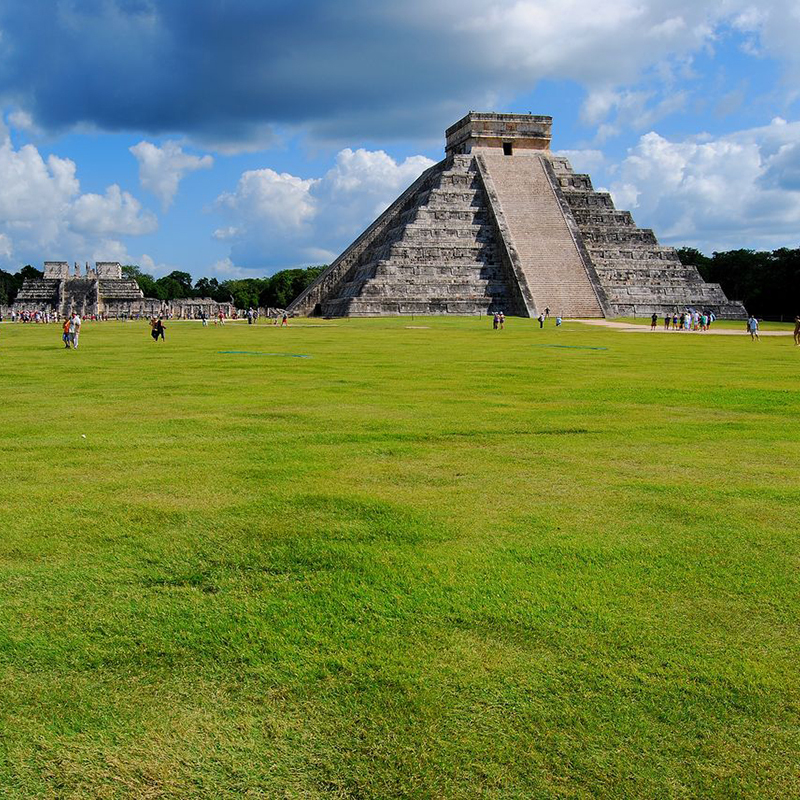 At Chichen Itza, you will be able to learn about the mystical Mayan Ruins and the incredible Mayan culture. As you walk to each of the buildings: The Castilllo, The Temple of the Warriors, the Observatory, the Ball Game Court, and some other Sacred Areas like the Cenote, you will be captivated by one of the most important pre-Hispanic civilizations in the world. The Mayan Ruins of Chichen Itza are divided into two different groups, one that belongs to the classic Maya Period and was built between the 7th and 10th centuries A.D., at which time the city became a prominent ceremonial center. The other corresponds to the Maya-Toltec Period, from the later part of the 10th century to the beginning of the 13th century A.D. This area includes the Sacred Well and most of the outstanding ruins. 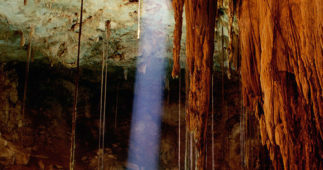 Our Itinerary starts with the pick up at your hotel in Cancun or Riviera Maya and transportation to Chichen Itza. 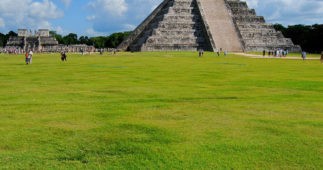 Once you arrive at the Archeological Site of Chichen Itza, the expert bilingual guide will explain the most important facts about Mayan culture and answer any questions you may have. Then you will have some free time to explore the ruins yourself and shop at all the different stands selling handcrafted goods and local Mayan artisan goods. 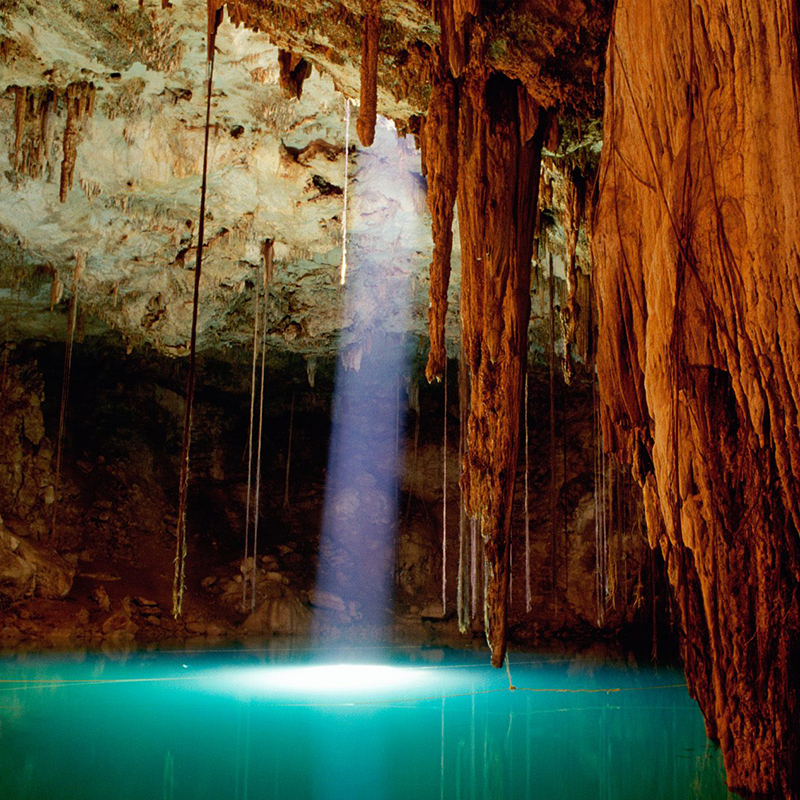 After your visit to this majestic place you will have the chance to refresh yourself in the amazing crystal clear water of the “Sacred Blue Cenote” in Ik Kil. Children between 5-11 years old pay children rate. Children under 5 enter free but cannot occupy a seat in the bus. Pick up is available only for hotels located in Cancun. Exact time of your pick-up will be sent by email after booking. Due to the warm and humid temperature of the region, we recommend you use light and comfortable clothes, hat and sun block lotion.